As a developer, are you continuously looking for technical support resources? Frustrated with program crashes? Or struggling to meet your customers expectation? 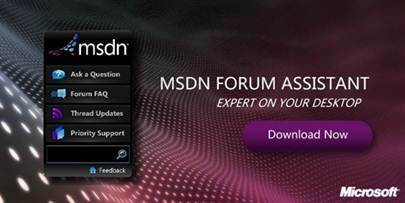 The new MSDN Forum Assistant reduces your efforts of logging in and directs you to the MSDN forum with instant updates, forum FAQs, MSDN priority support queues, and much more! It is like having an expert right on your desktop. The MSDN Forum Assistant features the function of directly asking questions in the forum. 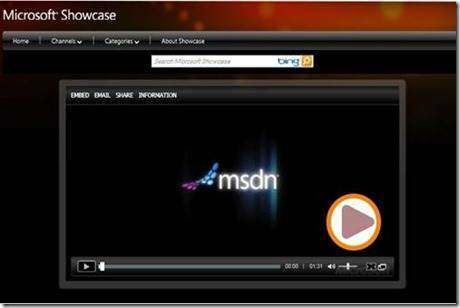 The MSDN Forum Assistant delivers post updates directly to your desktop; no need to refresh IE. “Thread updates” is definitely the right place to keep on track. You can type your key words in MSDN assistant to search MSDN official Forum directly for related posts. No matter if you are a beginner trying to master basic knowledge, or an experienced developer who still wants to learn more , “Forum Q & A” can get you the hottest questions by Microsoft engineers. Developers’ frequently asked programming tasks in the MSDN forums are the source of Microsoft All-In-One Code Framework sample topics.